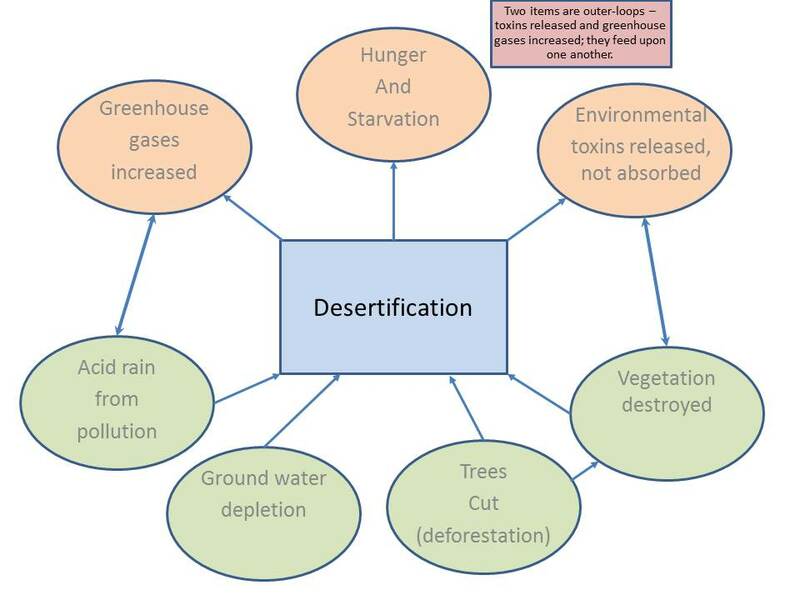 Above, see an illustration I put together that illustrates the process of desertification. Unfortunately, as a result of various environmental factors, large parts of Asia and Africa are experiencing this problem, which ultimately leads to hunger and eventually to starvation. Many of these items compound one another and have a revolving effect. For instance, ground water depletion may cause trees to die. Trees dying may cause vegetation to be destroyed. No vegetation may increase the likelihood of desertification. 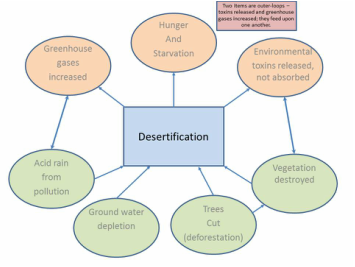 Desertification, with the ground dried up, may cause toxins to be released instead of being absorbed and converted by trees and vegetation, not to mention more CO2 being produced. Ultimately, that and other factors lead to hunger and starvation. 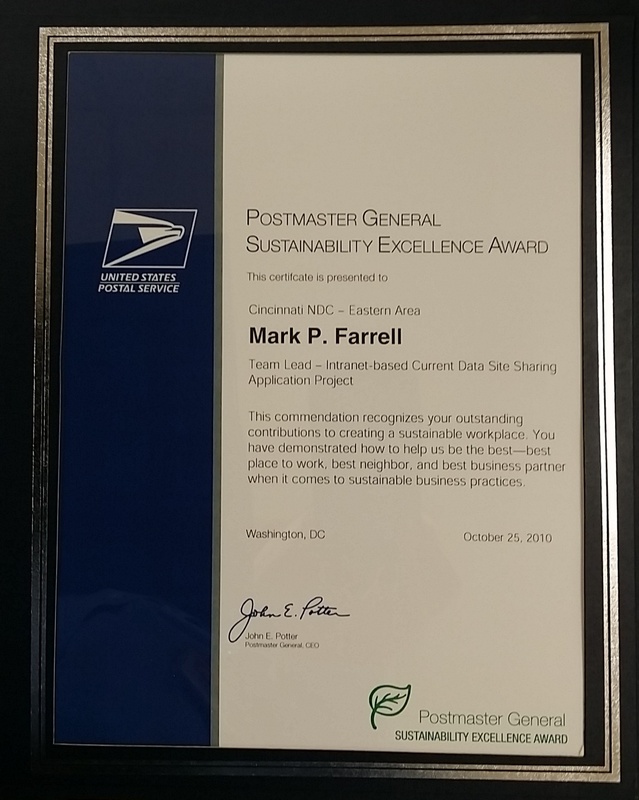 I have long been an advocate of sustainability, and have won the US Postmaster General Award for developing a program to save paper that was implemented nationally in the past. I'm always thinking of new ways to improve processes from an environmentally sound and improved business standpoint. While many of us live in the here-and-now, it's important to also think about the future as well, particularly if you have children, and how the environment is impacted by our global footprint. In the business environment, many people feel that sustainability is counter to profits. But that's far from the truth. For instance, if a toilet is replaced with a type that has separate flush buttons for liquids and solids, water (and your bill) can be saved. Replacing incandescent or fluorescent bulbs with LED bulbs can save significant energy (and cost), and LED bulbs are much less harmful to the environment than fluorescent, not to mention time-saved from not having to replace them for some time. Insulation can save significant energy (and heating costs). Driving vehicles that run on electric (or, if gas, has good gas mileage) will cut back on greenhouse gases, help lower smog, reduce consequent water acidification, and save money at the pump. Solar cells and windmills can save money on electric bills, and reduce our dependence on coal-burning plants. 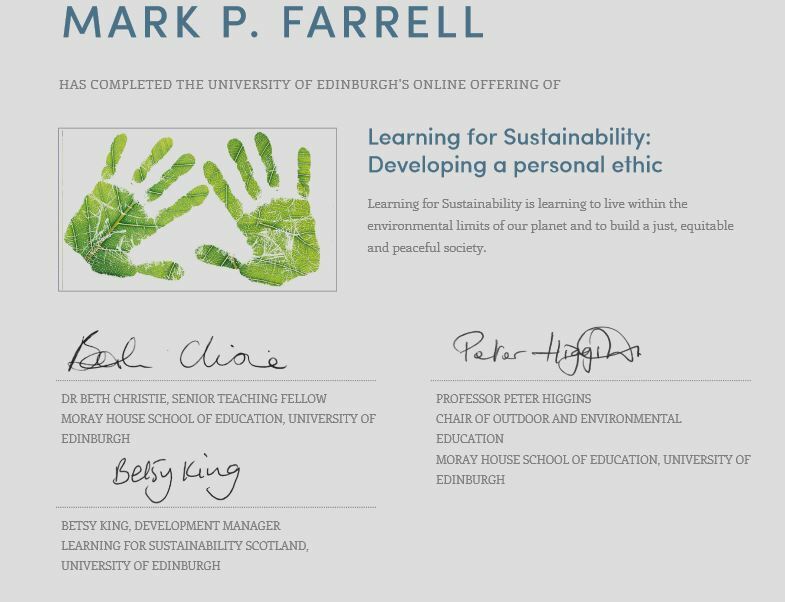 Took course on sustainability provided by the University of Washington (via the online program by EdX). The course was taught by Dr. Stevan Harrell. While the certificate hasn't been issued yet, my grading marks are copied at the link below. 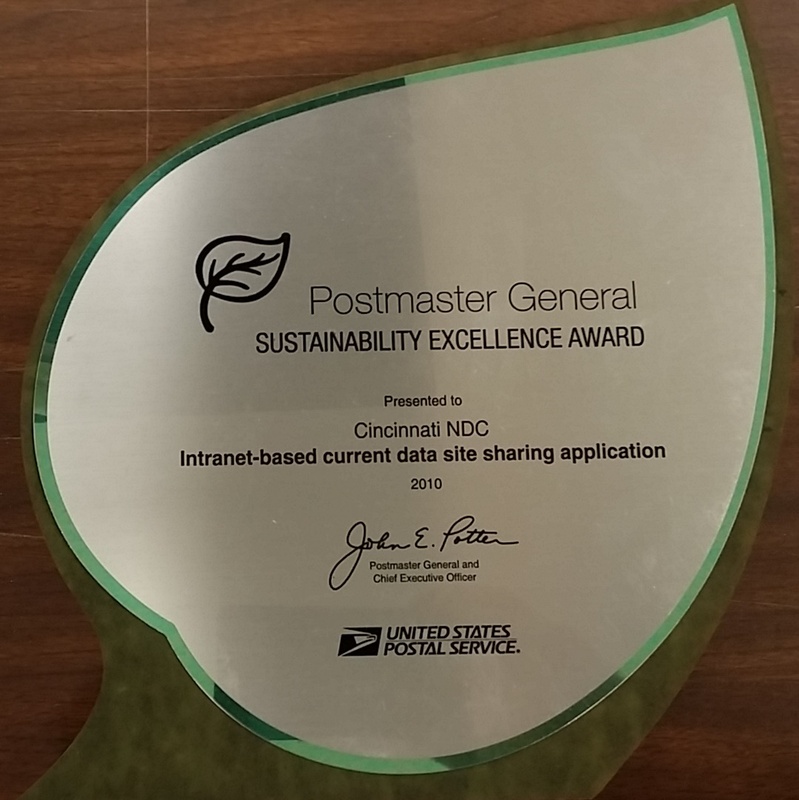 I received the above award for a program that I developed to save paper. I have also received several other awards related to such (see Awards for others).